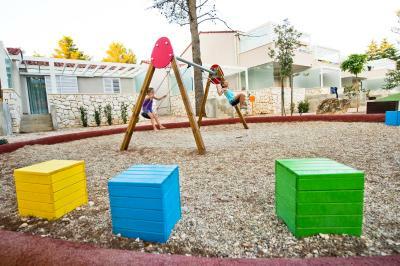 Lock in a great price for Zaton Holiday Resort – rated 8.3 by recent guests! 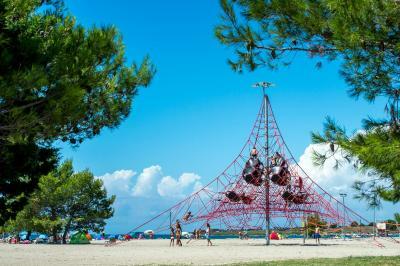 A great place for a holiday with children! 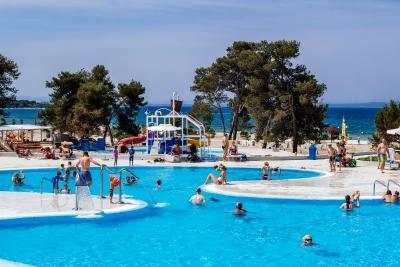 I liked the beach, swimming pool, security, restaurants... - apartment large, clean - pools for kids are absolutely cool Good location to explore Zadar, Skradin, Krka waterfall. Swimming pool complex is nice. The flat is nice, clean, comfortable and air conditioned. Good variety of children's activities. A great place for a family with small children. There is everything one might need: play grounds, fun pools, three mini-golfs, ponies, beach, shallow sea, deep sea, inflated city in the water, inflated city on the ground, restaurants, coffee bars, ice-cream, shops, market, boats for rent, ship cruises, sun, nicely landscaped terrain, etc. The apartment was large, had a terrace. I really like the apartment and the resort. Very good internet - fast and with no glitch for two weeks. Air conditioning was working very well. The maintenance staff - very responsive. Apartment was so nice and clean. 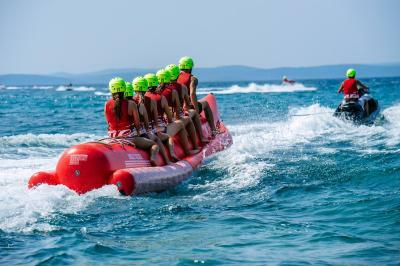 And there is really huge amount of all kind activities for everybody. Everything, from the receptionist to the cleaning staff. The location was great. The beach was phenonminal. Beach, pools and restaurants were all within close proximity. Great stay for families especially if travelling with small children. Easy drive to nearby cities. Excellent for families with small children, but I have to say all ages have something to do in this resort. 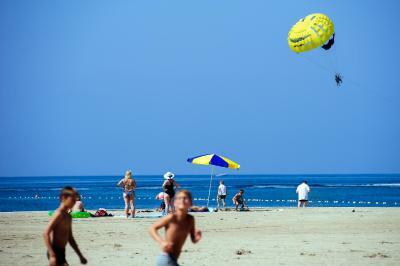 The resort is fantastic, children friendly, sandy and also stony beaches if you want. Swimming pool area was also great! Activities and program for kids very well done! We will definitely recommend to our friends. Everything is here or nearby for an all inclusive vacation. 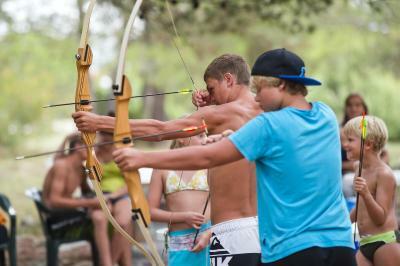 Much to choose from right at the resort or a short trip to neighboring towns for shopping and sightseeing. We had 2 full bathrooms in our 2 bedroom apartment and a full patio..... all ground floor. Close to all activities. Great for families of all ages. Very quiet at night and early morning. 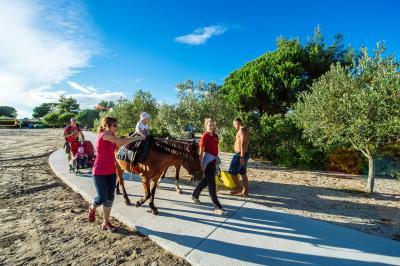 Lots of musical entertainment, boat trips to Kornati, pools for all ages, sandy beaches for small children, pony rides on the beach, kids clubs every day and entertainment for children every night. Entertainment for adults, also. Very close to Zadar and Nin. 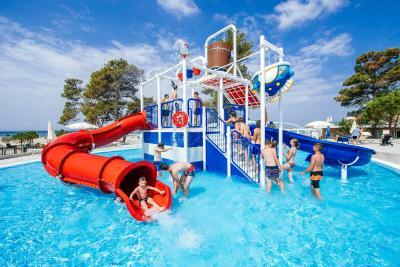 Zaton Holiday Resort This rating is a reflection of how the property compares to the industry standard when it comes to price, facilities and services available. It's based on a self-evaluation by the property. Use this rating to help choose your stay! 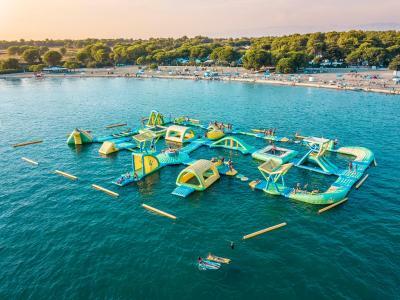 One of our top picks in Nin.Offering lots of activities for kids and adults, the Zaton Holiday Resort is located 1.9 mi from ancient Nin and 9.3 mi from Zadar. It has its own beach and a pool complex. 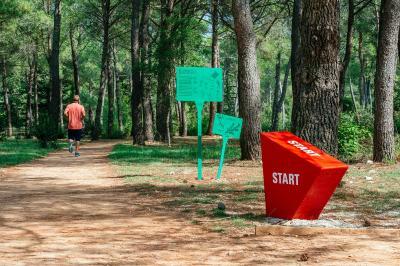 Spread over the large grounds with pine trees, all apartments have a fully equipped kitchen, a patio and a satellite TV. 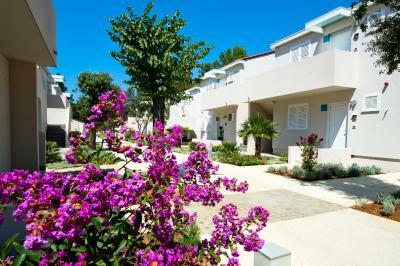 Characteristic Croatian cuisine is served in the resort's restaurants with a shady terraces. 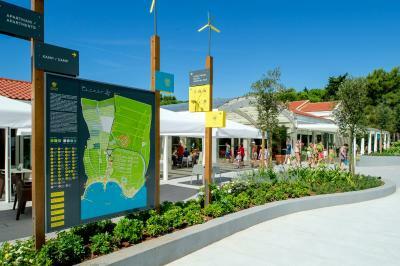 There is also a supermarket in the Zaton Resort. 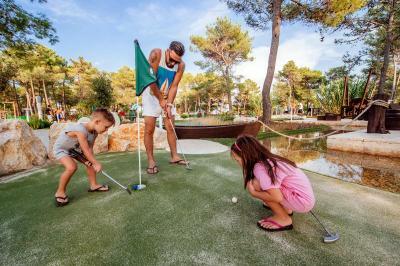 You can play tennis, mini golf, go diving, surfing or horse riding or take part in activity programs for all ages. 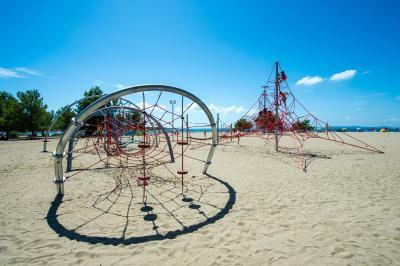 A large playground is there as well for the kids. 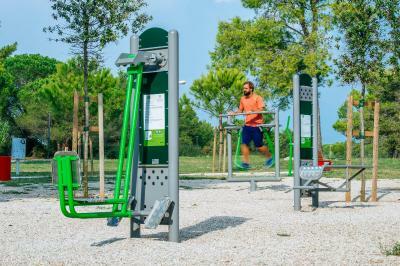 Famous national parks like Plitvice Lakes, Kornati Islands, Krka Waterfalls, Paklenica and North Velebit are all located around Zadar, about 2-hour drive away. 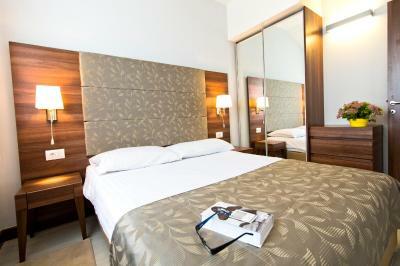 When would you like to stay at Zaton Holiday Resort? The studio is located on the ground floor. This studio is located on the ground floor. Ground or first floor apartment - it consists of a living room with a sofa bed for 2 people and a twin bedroom. Ground floor apartment - living room equipped with sofa bed for 1 person, 2 bedrooms. 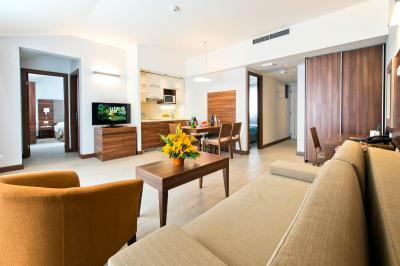 Air-conditioned studio featuring a seating area with a sofa, a kitchenette and a private bathroom with shower. Bed linen and parking are provided for free. 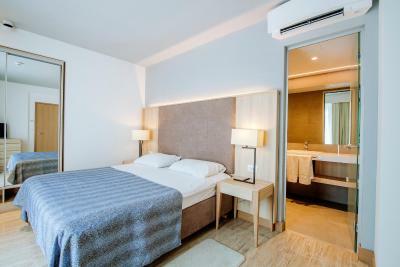 Air-conditioned apartment featuring a seating area with a sofa, a kitchenette and a private bathroom with shower. Bed linen and parking are provided for free. 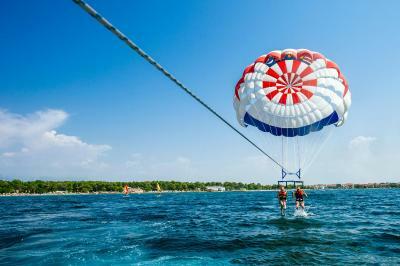 Zaton Holiday Resort continually strives to offer the best possible holiday experience to the guests. 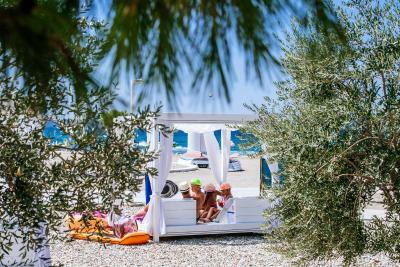 Wonderful sea and beaches, well-tended surroundings with unforgettably fragrant pine trees, along with top-class facilities and services - we have it all! 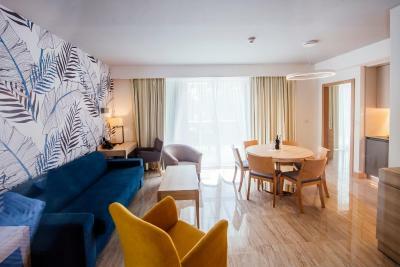 Offering satellite TV and internet access, the fully-equipped apartments are an excellent choice for families with children who want to keep the feeling of a domestic environment on vacation. 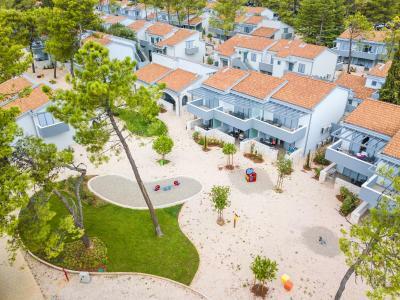 The furnished terraces or balconies surrounded by a well-tended Mediterranean garden are just perfect for enjoying a morning coffee out in the open while the kids play on the playground just a few steps away from the terrace. 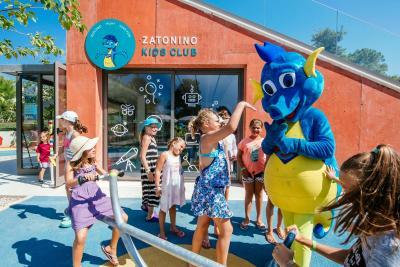 House Rules Zaton Holiday Resort takes special requests – add in the next step! Zaton Holiday Resort accepts these cards and reserves the right to temporarily hold an amount prior to arrival. 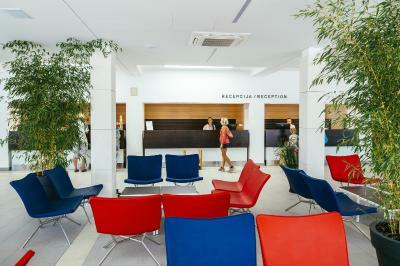 The apartment must be left clean or an extra fee of EUR 40 will apply. 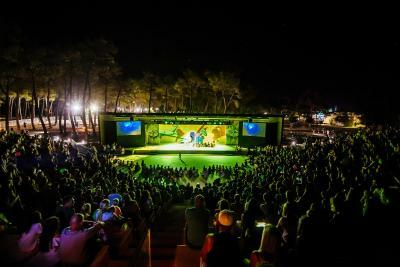 After a few days members of one Croatian union came and resort change from family friendly to party resort.... too loud music all day and night, no peace and drinking just do not go with small children...check before you book if they are hosting any union members. 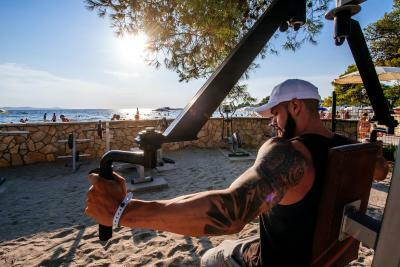 HORRIBLE EXPERIENCE: the management probably didn't know what they're doing when agreeing to host the Croatian Police Department Sport Games in September 2018 – around 200 pigs marched in and were: - constantly drinking and ignoring the rules (e.g. the quiet hours) and the other guests - playing music very loud until early morning hours - singing (screaming) the songs - drinking a beer from the glass bottles in the swimming pool and leaving the sharp lids on the floor (not sure if the Lifeguard even tried to tell them off) - parking their vehicles on the playgrounds near the apartments (which is not allowed) and using a horn and siren of the Police van - making stupid remarks and harassing women by offering indecent proposals. The staff and their security guard didn't help, only gave us an explanation that they are all drunk and were obviously afraid of them as if though Croatia was a Police state or something. In my opinion, the Police officers were nothing but the regular guests (like us) since they were all off-duty and the hotel management should have been definitely more assertive towards them in order to minimize the negative feedback from the families/guests willing to relax in the family-friendly resort. These 3 nights of mayhem really ruined our holiday! Nice resort with everything in it you could imagine (for kids, sport and relax): beach, swimming pools, running track, tennis courts, restaurants, shops etc. I'm nitpicking now, but the only thing that bothered me, that when you pull the chairs around, it was really loud. So if some is staying in the apartment under/over you, and decide to pull the chairs around during night, or early morning, you will really hear it loudly. It could be solved easily by the staff. Surprisingly, this was the only sound you could hear from your neighbor, so it is great. The stay at the resort was absolutely great. The location, the rooms the beach and the whole area of the resort was fantastic. There was everything that you might need for your stay. 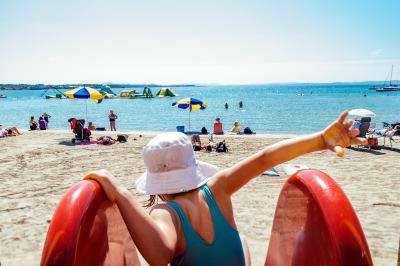 I travelled with my Family - 2 small kids, and the place is really well suited for that. The waterpark was great for kids and adults as well, the beach is great for kids, as the water is really shallow (and it was really warm for September), there were many playgrounds, minigolf...etc for kids. The apartment is really, as you see on the picture - really modern and clean. Excellent place for family vacation. 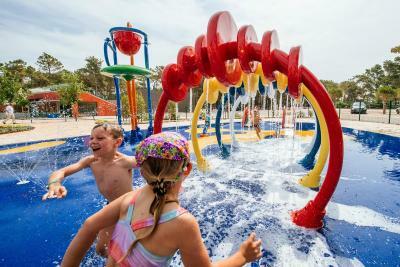 There are playgrounds each 50 meters, new pools and funny pool kids zone. Tons of activities. 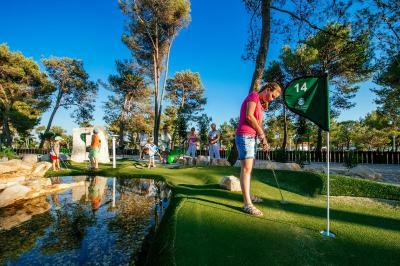 Impressive adventure mini golf. Really cool place if you have children. We arrived at 19.00 and the room was still being prepared (check in was advertised from 15.00), we got compensation, though. Mini Market is a key profit driver, way too high prices. Sound proofing could be better within the apartment. 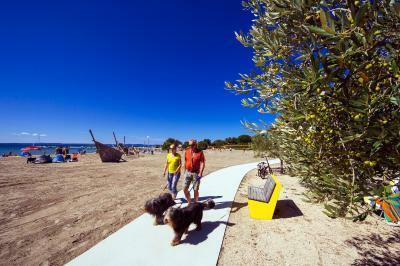 Safe for children, nice setting with lots of shade area on the beach. Nice restaurants, good strolling opportunity without being exposed to too much sun. Lots of facilities for kids, fairly priced, too. expensive supermarket and bakery. Poor and unfriendly service at the sun bed and umbrella rent on the beach. Restaurants, shops are in very close distance. Very Good animators for children. Sandy Beach. 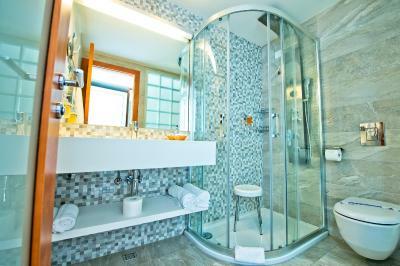 The toilet and shower room in our room smelled strongly of urine that wouldn’t go. Other than that, it was immaculate! It was amazing. The location and resort are just incredible; like a little village with everything you could need nearby and with such ease to access. Such a lovely place to stay and so welcoming!!! We will be back! We were placed in t3, as soon as we walked in, the room smelt of musk and mould. Not pleasant. We were only staying for 3 nights so we decided to put up with it. On 2 out of the 3 nights, the electricity went off so we woke with no lights and had to wait for maintenance to come to return the power. On the last night we woke early for our flight only to find that we had no power again, not even the phone in the room worked. I called the front desk from my mobile, and the man was very helpful. He came in a buggy and took us to another apartment complex so that we could have a shower and get ready for our early flight back to Australia. He waited while he got organised and then took us in the buggy to our car. He had great service and was very apologetic. Shame about the terrible smelly room and lack of electricity. Management needs to attend to this matter. Nice pool area. Big resort. Great for families.